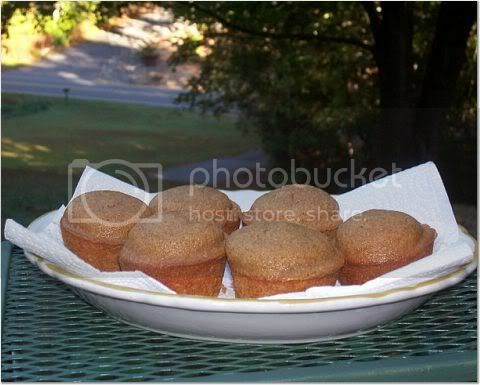 Pumpkin bread muffins with coffee . . . for my household. . . I love the fall!!! Wish you were here to enjoy!!! My Hens and Chicks . . . I have had them for about 15 years . . .
My mom used to grow her's in a washpan when she was alive . . . My seventy five year old aunt gave me these long ago . 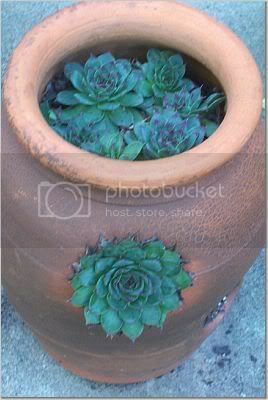 . .
Hen and Chicks (we call them house leeks here in Scotland) are some of my favourite plants. I have many different varieties in my garden. just can't eat it as it makes me sick I must be allergic to it.I will take a cup of coffee if you don't mind.I love hens and chick too.I've had mine a long time.